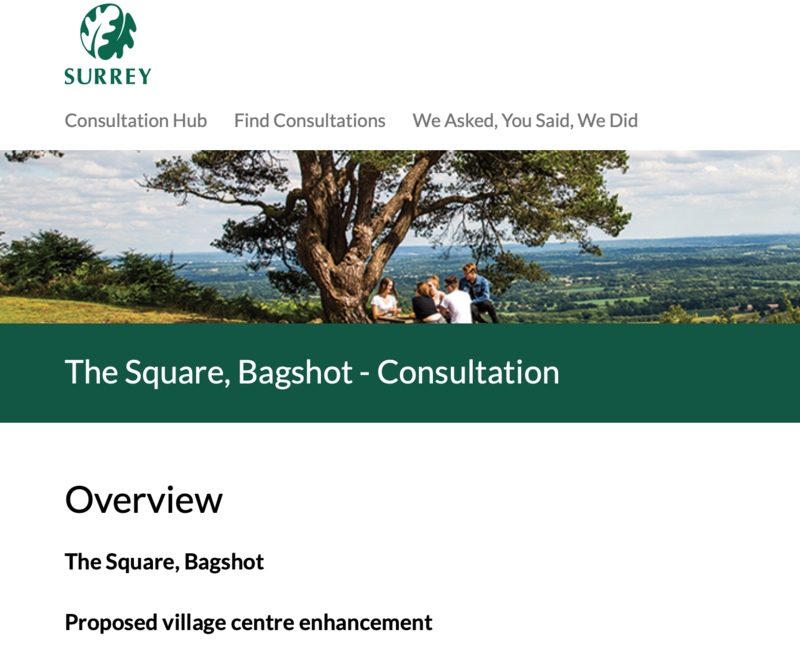 In 2017 Surrey County Council consulted the public about a number of options for improving the centre of Bagshot village. Proposals to improve the area where the memorial is situated in the centre of the village proved to be the most popular option. Different ways of creating an attractive shared community space giving more of a focal point to the village centre have therefore been considered. These all involve closing the small area of road. Working together with the Parish Council a preferred option has now been identified. This is detailed in this consultation along with the other options considered. The consultation closes on 13th Jan 2019. You can find more information and complete the survey at the Surrey County Council SurreySays website.